ISO 27001:2013 ISMS Lead Implementer Training is considered as a foot step of ISMS implementation process in an organization. 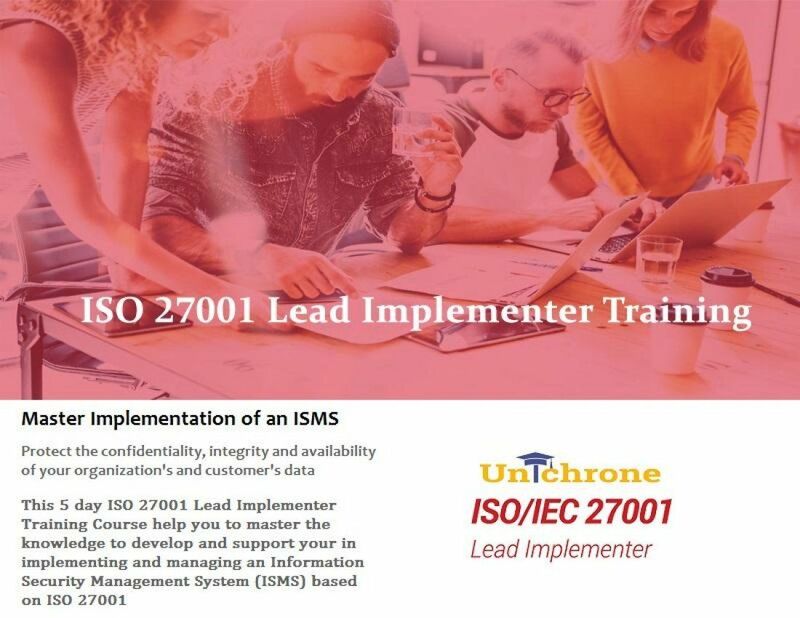 The ISMS 27001 Lead Implementer Training helps to lay down the foundation to save from threats, vulnerabilities, attacks, etc. The ISO 27001 Certified Professional will have the capabilities to control such causes and effects by implementing ISMS adhering to the controls and standards defined in. Any organization after deploying such ISMS practices will not only save from the unnatural causes but also gains the confidence from its customers, stakeholders and management. This helps to build the strong reputation with clients and vendors too. By such methodologies implementation, any organization can go for an audit and improvise the processes to save more money and build a brand trust. ISO 27001: 2013 Lead Implementer Course is of 5 day Training which will highlight the basics of ISMS, Standards, Initiation, Planning, Deploying ISMS, Continuous Improvement and Preparation for ISMS Audit. Exam will be held on the 5th day for 3 hours (pencil-paper based examination). The exam pattern is mix of Objective and Subjective. Unichrone always engages an expert Internationally experienced Tutor for its training delivery considering to impart deep knowledge to the participants which could help them to reach an extra mile in their career with such quality training sessions. Hence working on No-Compromise policy, our sessions are globally a big success. · Helps global recognition and higher salary packages to the certified professional. · Gives extra advantages to the management ladder. · Prevents organizations from federal penalties. · Adds value to the processes and streamlines business units. · Helps to save from external threats, vulnerabilities and creates a strong environment. · Increases customer trust and loyalty. 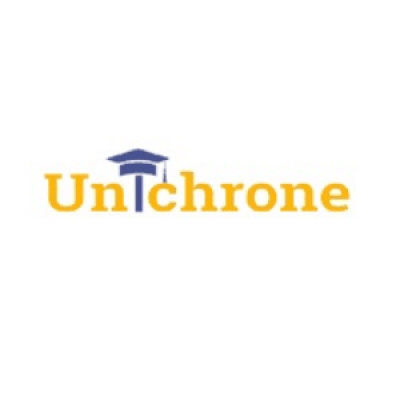 Unichrone Learning is a Professional Training organization which delivers accredited training courses across the globe with its wide network of certified and accredited tutors. Unichrone Learning is a most reputed name in the corporate training sector and has been a official training partners for Philips, DHL, Dupont, Arasco, Globalsign just to name few. Unichrone Learning offers training courses via Live Trainer led Online Classes, Group Workshops, and Corporate Training Sessions across 210 Countries and 3000+ Cities. The major courses include PMP, Six Sigma, ISO, Quality Management Courses etc.